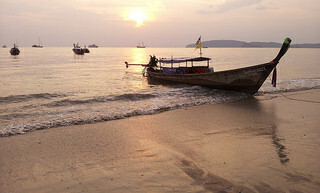 Thailand has for a long time been a very popular destination for seniors and those over the age of 80. It seems to have it all. Hot weather year around, great beaches, diving, world class shopping, awesome food, culture....in fact this list could go on and on! It's no wonder so many older Brits like to holiday there but it's also a destination where you absolutely must have a good level of travel insurance. Hospitals are generally excellent in Thailand but there is no NHS and you could end up with a huge bill if you have a medical emergency.